Our podiatrists, at times, may need to perform nail surgery to treat chronic or recurring nail issues such as ingrown nails. An ingrown toenail occurs when a nail has pierced the adjacent skin of the toe causing pain or discomfort, inflammation and sometimes infection. Once a toe becomes infected, it can cause pain, redness, swelling and pus. It most commonly affects the great toes, but it can also occur in the lesser toes. 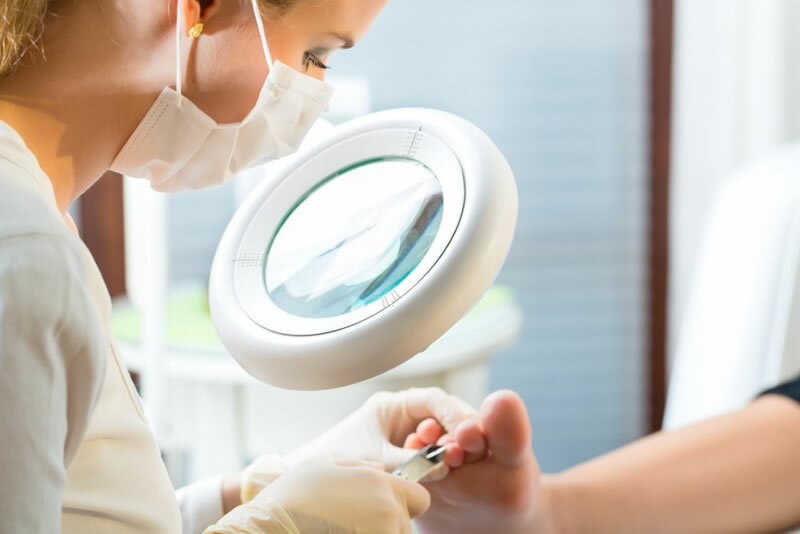 For some it can be treated with a correct nail cutting technique and other conservative measures undertaken by our podiatrists. However in others, this can be difficult due to an existing infection or the shape of the nail of the patient. In most cases, ingrown toenails can be managed under conservative measures by our podiatrists. However, if it cannot be managed under conservative methods, nail surgery is necessary. Our podiatrists are qualified professionals who are trained to perform nail surgery for chronic ingrown toenails. Nail surgery offers a permanent and safe solution with a high chance of success. At West Ryde Podiatry Clinic we perform a relatively simple procedure called a partial nail avulsion. It is simple, quick and the patient is able to walk out of our rooms immediately afterwards. The procedure itself is generally performed under local anaesthetic via injection to the toe to numb the area. The anaesthetic will most often wear off in about an hour. Re-dressing at home and a few consultations with your podiatrist may be required following the procedure. Minimal pain relief medication may be required. You can discuss this with our podiatrists. As with any other surgical intervention, nail surgical procedures have some risk of complications, including a slight chance of recurrence. Infection while the wound is healing can also be an issue. Again, you should discuss this with your podiatrist. To learn more about nail surgery, call us to book an appointment to discuss with one of our podiatrists.